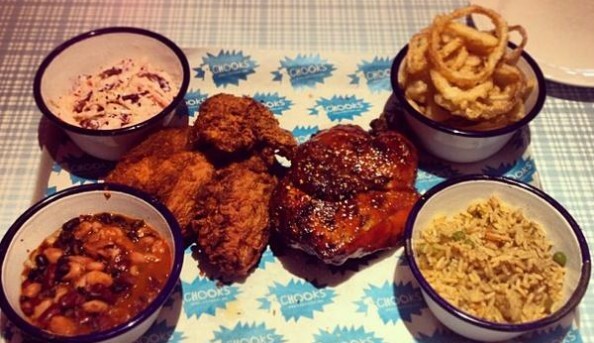 Chooks is famous for their chicken dishes from chicken sandwiches, chicken wings, chicken salads and more! The Blazing Saddle, just one of their amazing sandwiches with buttermilk chicken, coleslaw and chipotle sauce is worth the £7.60 with a heaping mass to the sandwich. 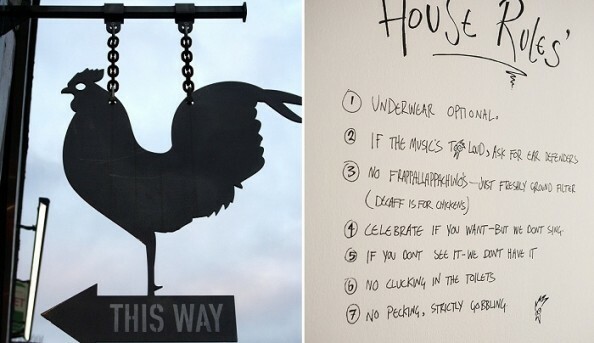 You truly get what you pay for at this chicken-loving restaurant along with great service. Also, from 5 p.m. to 7 p.m. is Cluck Time, meaning 50 percent off all drinks with a small chicken symbol next to the description. 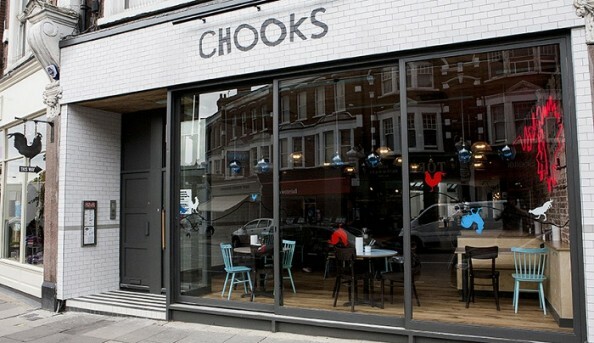 Send an email to Chooks.